Africa is on the move, with accelerating economic growth, more stable governance and widening security. Enduring challenges - of economic transformation, governance and contentious politics - provide the focus for teaching, research and engagement. Through wide-ranging course offerings and activities, the program addresses issues across countries, sectors and societies. The African Studies Program offers an extensive curriculum covering development, governance and security across the continent. We draw on leading theories of international politics, political economy and comparative analysis in approaching this dynamic region. The program offers excellent foundations in the history and politics of the region, with a consistent focus on current policy concerns and emerging issues in Africa. Courses address general themes as well as particular countries, regions and specialized topics. With an incomparable location in Washington, DC, our students engage with a global array of leading academics, policymakers, activists and development practitioners. Through opportunities for independent research, internships and study visits, students regularly travel to the region. Graduates pursue successful careers in the private sector, international development institutions, non-governmental organizations, government and the policy world. Nigerian entrepreneurs developing their tech skills with "The Abuja Digital Institute for Northern Nigerian Women"
SAIS African Studies Program hosting speaker Chimamanda Ngozi Adichie at the 2017 "Political Economy of Gender and Women's Empowerment in Africa"
Students working at the "Abuja Digital Institute for Northern Nigerian Women"
Lecturer Dr. Chiedo Nwankwor and several African Studies students at Dr. Nwankwor's "The Point of Intersection: Hillary Clinton, Beyonce, & Chimamanda Ngozi Adichie"
Vice Admiral Michael T. Franken of AFRICOM visits SAIS. African Studies student and Yayi Bayam, president of a small non-profit that provides skills training for young women in a religiously "conservative" community just outside of Dakar. SAIS International Development-African Studies intersession trip to South Africa. "The Political Economy of Gender and Women's Empowerment in Africa"
Students in the African Studies Program have many opportunities for travel, research and engagement with contemporary issues on the continent. Our seminar series brings dozens of speakers to campus each year, focusing on a wide range of academic and policy topics. Recent seminars have covered the political foundations of ethnic violence, the challenges of institutional reform in Africa, politics in Nigeria, Senegal, Kenya, and South Africa, conflict in Mali and the Democratic Republic of Congo, the role of social media and democracy, and China-Africa relations. The program's annual conferences cover a range of themes from development, to democratization, to the role of religion in politics. Most students benefit from assistance for travel to Africa, including internships, independent research and structured study trips. Research opportunities include extended programs in Ghana, Senegal and Tunisia, as well as self-designed initiatives in other countries. African Studies students regularly receive internships in the United States and Africa. These encompass a range of organizations in government, nongovernmental institutions and the private sector. Students have had recent access to internships in Benin, Botswana, Democratic Republic of the Congo, Ethiopia, Ghana, Niger Republic, Nigeria, Senegal, South Africa, Tanzania and Zimbabwe. On an occasional basis, the program offers study trips to students during intersession and summer periods. Recent trips have included South Africa, Ethiopia, Ghana, Senegal and China. An independent study field program to Senegal, Ghana or Tunisia is an option between the first and second year. Students should develop a project proposal in the fall semester to be submitted by March of the spring semester. Proficiency in Arabic or French is required for Tunisia, proficiency in French for Senegal. The African Studies Program sponsors a weekly seminar series and annual conferences covering a wide range of topics on Africa. African Studies concentrators are permitted to use one course outside of African Studies on a relevant African topic toward their concentration with program approval. African Studies concentrators in the second year produce a program paper of publishable quality, which may be the product of a regular course or supervised independent research. The paper is due by April 15th of a student’s second year. For those whose final semester is fall, consult the Program Director for a due date. African Studies concentrators are required to demonstrate proficiency in French, Portuguese, or Arabic. Please consult the program for permission to use Swahili (not taught at Johns Hopkins SAIS). Native speakers of French, Portuguese, or Arabic must demonstrate proficiency in any other language taught at SAIS, which can include English. Please join us at our community page, Connect SAIS Africa, for updates,comentary, and news on students and alumni. Examines the political context of Africa’s post-colonial development. Considers the historical evolution of African economies from the colonial era, and the structural and institutional features of economic development since independence. Reviews the evolution of economic policy and the nature of political regimes. Considers the incentives of political and economic elites and popular constituencies. Examines the genesis of economic crisis and attempted reform. A conceptual and historical overview of politics in Sub-Saharan Africa since independence. Considers the social basis of politics, the nature of political actors and the institutional context. Examines major tendencies in political thought and ideology. Reviews regime types and strategies of rule. Analyzes central themes and processes in African politics, including clientelism, ethnicity, authoritarianism and democracy. Discusses important cases and trends. Africa’s Security Challenges introduces students to Africa’s current and emerging security threats, and identifies and examines ways to resolve these challenges in a holistic manner so as to sustain security, stability and development. The course provides: (1) An overview of the sociopolitical and historical security landscapes of Africa; (2) A critical examination of the drivers of insecurity in Africa, an analysis of governance practices and assessment of contested democratic transitions and violence; (3) An analysis of the role that the mismanagement of resources, foreign actors and international cooperation have played in maintaining, perpetrating or changing the security dynamics and trends. We take a closer look at Western engagement and regional cooperation in the fight against extremist groups such as Boko Haram and Al-Shabaab, and how their policies impact regional peace and development. 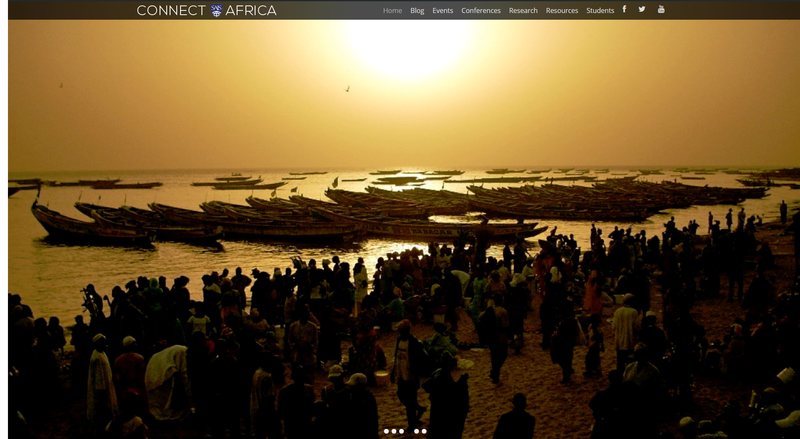 To join our African Studies listserv please e-mail saisafrica@jhu.edu. For a detailed listing of our annual conferences connect to our conference page. Burke, Christopher; Corkin, Lucy & Davies, Martyn. 2008. China's Role in the Development of Africa's Infrastructure. Kaplinsky, Raphael; McCormick, Dorothy & Morris, Mike. 2008. Broadman, Harry. 2010 Africa's Investment Prospects Are Actually Brighter: Can the 'North' Exploit Africa's First Mover Advantager? Lance Kinne, (also published in the Journal of Modern African Studies 39, 4, 2001). Peter M. Lewis. University of Michigan Press (2007). Mohammed O. Maundi, I. William Zartman, Kwaku Nuamah, Gilbert M. Khadiagala. (United States Institute of Peace, 2006). Gilbert M. Khadiagala and Donald S. Rothchild, editors. (Special Issue of International Negotiation, Vol. 10, No. 2, 2005). Naomi Chazan, Peter M. Lewis, Robert Mortimer, Donald Rothchild and Stephen Stedman (Lynne Rienner Publishers, 1999). Coping with Crisis in African States, Peter M. Lewis and John W. Harbeson, editors (2016). African Foreign Policies: Power and Process, Gilbert M. Khadiagala and Terrence Lyons, editors (2001). Traditional Cures for Modern Conflicts: African Conflict “Medicine,” I. William Zartman, editor (2000). Democracy in Africa: The Hard Road Ahead, Marina Ottaway, editor (1997). Collapsed States: The Disintegration and Restoration of Legitimate Authority, I William Zartman, editor (1995). South Africa: The Political Economy of Transformation, Stephen J. Stedman, editor (1994). Botswana: The Political Economy of Democratic Development, Stephen J. Stedman, editor (1993). Ghana: The Political Economy of Recovery, Donald Rothchild, editor (1991). Tunisia: The Political Economy of Reform, I. William Zartman, editor (1991). Europe and Africa: The New Phase, I. William Zartman, editor(1993). The Political Economy of Ethiopia, Marina Ottaway and Negussay Ayele, editors (1990). The Political Economy of Senegal Under Structural Adjustment, Christopher Delgado and Sidi Jammeh, editors (1990). The Political Economy of Morocco, I. William Zartman, editor (1987). The Military in African Politics, John Harbeson, editor (1987). The Political Economy of Kenya, Michael G. Schatzberg, editor (1987). The Political Economy of Cameroon, Michael G. Schatzberg and I. William Zartman, editors (1986). The OAU After Twenty Years, Zartman and El-Ayouty, editors (1986). The Political Economy of Zimbabwe, Michael G. Schatzberg, editor (1984). The Political Economy of Ivory Coast, I. William Zartman and Christopher Delgado, editors (1984). The Political Economy of Nigeria, Michael G. Schatzberg, editor (1983). The central African studies organization in the U.S.